Did you know that we have more than one kind of fat in our body? It’s true – subcutaneous fat and visceral fat. You might have heard the words subcutaneous or visceral before, but do you know what they mean or how to distinguish between the two different kinds of fat? Well, if you don’t know or if you are interested in learning more, then read on because INEVO Contouring has done some very interesting research, and we want to share it with you! Subcutaneous fat can be defined as the fat you can “see,” which means the fat you can pinch. You might be thinking about the fat around your waist, thighs or love handles, but it’s also the fat on your underarms and even the soles of your feet! The point is we all have subcutaneous fat all over our bodies, but when there is too much – well, that’s when there is a problem. This kind of fat can cause dimpling and cellulite. It’s the fat that you can pinch, and it’s that stubborn fat that you can’t seem to lose no matter how much you diet and exercise. Visceral fat, on the other hand, is the dangerous kind of fat that can lead to significant health problems and diseases. You can’t see this fat because it resides around major organs including your heart and liver, which means a person who looks thin may still have too much visceral fat. Some causes of excess visceral fat are high carb diets and yo-yo dieting. This kind of fat can cause: high blood pressure, heart disease, diabetes, dementia and high cholesterol. So what can you do? Well, INEVO Contouring is committed to helping people look better and feel healthier. We have developed a complete system to meet your needs and reach your goals! Our line of Easy Meals are nutritious, easy to cook and taste great. They are packed with all-natural ingredients and feature low calorie and high fiber foods. With our Easy Meals – INEVO has made cooking simple and fun again! INEVO Contouring is also committed to helping you lose fat in those stubborn areas with our revolutionary lipolaser. Just lay back and relax as the fat melts away – revealing the body you’ve always wanted! Are you ready to learn more? Visit us at www.inevocontouring.com or call us to schedule a consultation at 412.366.5140. 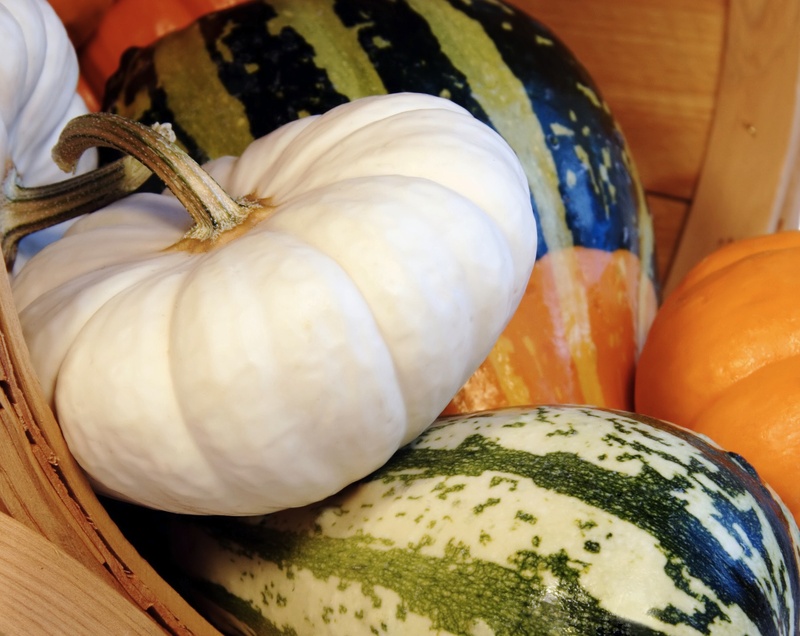 So Thanksgiving is literally just around the corner, and while the holidays are a great time to enjoy good food with family, you still might be wondering what are the healthiest options when it comes to Thanksgiving dinner. INEVO has compiled a list of foods you can enjoy and foods to avoid, but we want to say this, if there is something you really want to enjoy Thanksgiving day, then allow yourself to splurge. Everyone deserves it, but just remember, everything in moderation! Enjoy and have a very happy Thanksgiving! 3 ounces of “white” turkey breast will save you around 50 calories and 4 grams of fat from its darker counterpart. The white meat turkey has around 115 calories and 7 grams of fat, while the dark meat has around 160 calories and 11 grams of fat. Traditional green bean casserole, including the creamy mushroom soup and crispy fried onions is around 161 calories and 9 grams of fat for every 3/4 of a cup, which is a lighter side than sweet potato casserole that has around 285 calories and 5 grams of fat for every 3/4 of a cup. If you can’t say no to the sweet potato casserole, don’t feel too bad. It is still full of good nutrients including beta carotene and vitamin A.
Pumpkin pie is the better choice with 216 calories and 14 grams of fat per slice (around 1/8 of a 9 inch pie). Apple pie, on the other hand, has 411 calories and 19 grams of fat for the same-size slice. * Learn more by visiting: Shine from YAHOO! Dieting doesn’t mean eating tasteless, fat-free, low calorie foods. Instead, making informed, healthy choices will help you stay on track and leave you feeling full and satisfied. Below we’ve come up with a list of healthy foods to enjoy and “diet” foods to avoid! Yes, it’s true that breakfast is the most important meal of the day. But eating breakfast is only half the battle, you still need to make healthy choices! Skim milk and puffed cereal may seem like a healthy, low-fat option, but the low fiber content won’t satisfy your hunger, and you’ll be left wanting more. Enjoy – Rolled or steel cut oats. Oatmeal is a satisfying and filling breakfast that will give you that needed boost of energy in the morning. Stick to the plain variety and add in a little brown sugar, fruits or even a tablespoon of peanut butter to satisfy your cravings. Rice cakes are good for you, but when you notice that you’ve eaten half a bag in one sitting – well that’s a problem. These little cakes are low in fiber and have a high glycemic index, which means you’re probably going to be finishing that bag before you feel satisfied. Enjoy – Rice cakes with some cream cheese or peanut butter. A spread on top of your rice cake makes it a balanced choice that is fulfilling and satisfying. If you’re craving something sweet, add a tablespoon of peanut butter, or if you want something salty, then add a tablespoon of cream cheese. With sweet, artificial flavors, light yogurt doesn’t leave your body with enough to digest, which means your stomach will be hungry for more. The high protein and creaminess of low-fat Greek yogurt makes it a better choice. If you want to add in some flavor try a dash of cinnamon or add in your favorite seasonal fruit. 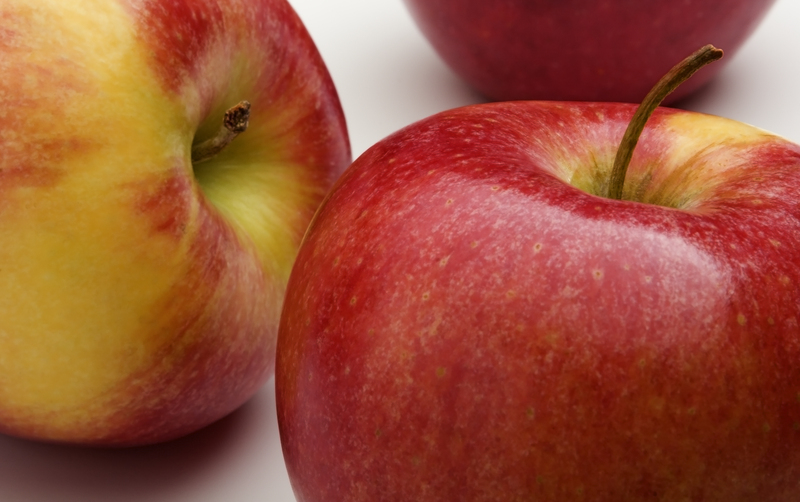 Okay, so you’ve heard “An apple a day keeps the doctor away.” And it’s true – apples are good for you. However, if you eat just an apple for your daily afternoon snack, you may tend to overeat at dinner. That’s because just a plain old apple is not a balanced snack. Eat an apple and some nuts too! If you combine your usual afternoon snack with a few almonds or a cheese stick, yes you might be getting some extra calories, but they are well worth it because it will keep you fuller longer. The trick to any “diet” food is to ensure that it provides you with enough nutrients to keep you feeling full and satisfied. Remember that spicing it up or adding variety keeps things from getting boring. Also, keep in mind that if you let yourself indulge once in awhile, you will be less likely to splurge and overeat later. You’ve told yourself that you’re committed to losing that stubborn belly fat. Well, first give yourself credit – recognizing that you want to make a change in the way you look and feel is the first step in changing the way you look and feel, but now that you’ve taken that first step, where do you begin? Well, it’s important to look at what you are eating and make healthy substitutions to encourage fat loss, while leaving you feeling full and satisfied. Breakfast is the most important meal of the day. It boosts your metabolism, and if you choose the right foods, breakfast will leave you feeling fuller and energized throughout the day. However, some people don’t have time to cook a full course breakfast, so what’s a quick and healthy solution? Enjoy Oatmeal: Oatmeal is high in fiber, low in fat, and stabilizes blood sugar. This fast and fulfilling breakfast will energize you throughout the day, but beware of sugary flavored varieties. Instead, stick to an original flavor and add in some delicious berries or a dash of cinnamon for added flavor and health benefits. Avoid Sugary Cereals: When you think of sugary cereals are you imagining Lucky Charms, Reese’s Puffs or Cocoa Krispies? Well, what if I told you that Kellogg’s Raisin Bran has more sugar than all of the above? Don’t believe me, well it’s true. Some other offenders that you need to beware of are: Kellogg’s Smart Start Original Antioxidants and General Mills Chex Multi-Bran. All three of these cereals contain more than 13 grams of sugar. 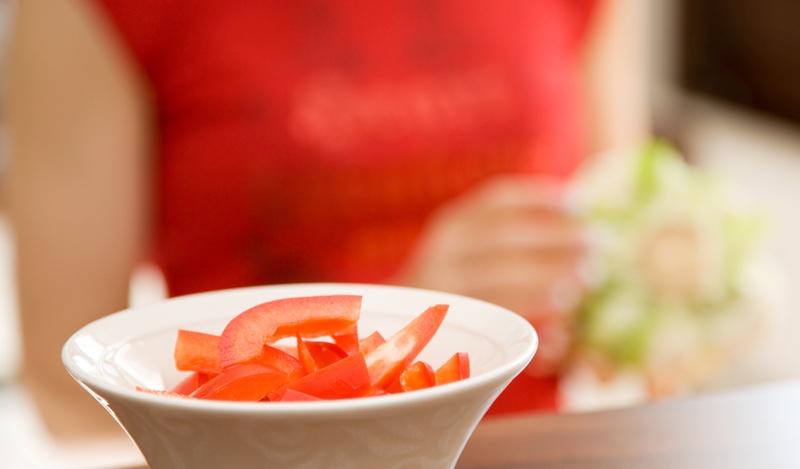 You may think that in order to lose weight you need to cut back on calories and ignore those hunger pangs. Wrong! Eating small snacks throughout the day boosts your metabolism, and you’re less likely to overeat during dinner. Enjoy Almonds: Almonds have amazing health benefits packed into each little nut. They help reduce cholesterol, stabilize blood sugar and are an excellent source of calcium. Almonds are a healthy and delicious snack that you should incorporate into your everyday diet. Stick to 24 almonds a day to satisfy your belly without overloading on calories. Avoid Salted Peanuts: Now don’t get confused. We just told you how great almonds are, so you might be wondering why peanuts (another nut variety) is something you should avoid, right? What we don’t like about salted peanuts is they are loaded with sodium, which can raise your blood pressure. So if it’s a peanut you crave, reach for the roasted, unsalted kind. Ah, the age-old question: “What’s for dinner?” Eating delicious dinners that the whole family can enjoy, while watching your waistline, can be a challenge, but it’s not impossible. Just remember to make healthy substitutions for the dishes you already love – whole grain pasta and turkey burgers are some healthier choices. Enjoy Grilled Fish Tacos: Who doesn’t love fish tacos? Instead of battered and fried fish, try grilling it! Add in some spices and a healthy, delicious avocado and mango salsa and some rice on the side, and you have yourself a tasty meal that the whole family will love! Avoid Chicken Quesadillas: If you are really craving a quesadilla, we suggest a “do it yourself” variety that is light on cheese and sour cream. Restaurants try to pack in as many ingredients as they can, for example Chili’s Bacon Ranch Chicken Quesadilla combines: cheese, ranch dressing, bacon and chicken for a heart-stopping 1,650 calories, 107 grams of fat and 3,450 milligrams of sodium. Have we made you hungry talking about food? Well, if you would like to try something new, check back next week for some delicious recipes, including those grilled fish tacos!